Samsung Electronics is targeting biggest smartphone markets, which are America and China, with ‘Galaxy S7’ that has Qualcomm’s application processor (AP) called ‘Snapdragon820’. In other places such as Europe, Southeast Asia, and others including South Korea, it is putting out Galaxy S7 that has its own AP called ‘Exynos’. According to semiconductor industry, Samsung Electronics is planning to release new Smartphone Galaxy S7 in Qualcomm Snapdragon and Samsung Exynos version in early 2016. Qualcomm had to go through a tough time because it could not supply its AP for Galaxy S6. However it seems that it will be able to gain its reputation back as it will install its new Snapdragon820, which will be officially released in early 2016, into Galaxy S7 and secure American and Chinese markets that have the biggest market sizes. Right before Galaxy S6 was going to be released, Qualcomm had to go through a controversy last year that said that its AP Snapdragon810’s performance was declining. Because Qualcomm could not install its chip into Galaxy S6 and Samsung Electronics’ Exynos showed higher performance than Snapdragon, Samsung was able to receive unsought gain. Galaxy S7 that will be released next year will be supplied with either Exynos or Snapdragon depending on region. It is as if Qualcomm gained an opportunity to increase its sales and shares again with its new AP. It is also interesting to see that Qualcomm was able to secure America and China that have the biggest Smartphone markets globally. According to market research company called IDC’s information regarding percentage of shipment of Smartphones per region, China (29.7%) and the U.S. (11.8%) take up about 41.5% of total market. According to GfK information, North American Smartphone market, which was worth $18.2 billion in last 2nd quarter, recorded the biggest growth ratio by growing 19% compared to 2nd quarter of 2014. Chinese market, which was worth $26.8 billion, showed the second biggest growth ratio by growing 17%. Western Europe ($11.7 billion), Middle East and Africa ($10.5 billion), advanced markets in Pacific Asian countries ($8.3 billion), rising markets in Pacific Asian countries ($7.5 billion), and South America ($6.2 billion) followed the U.S. and China. 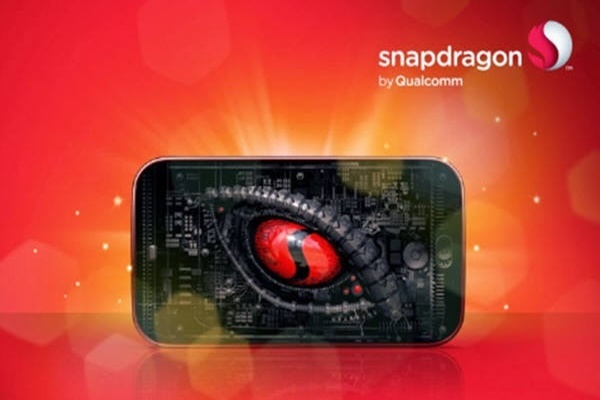 Expectations from industries on Qualcomm are beginning to grow as Qualcomm introduced performance of new functions of Snapdragon820. Qualcomm strengthened its LTE48 function, and Snapdragon820 can support up to 600 Mbps downlink, 150 Mbps uplink, next-generation HD voice, and LTE and Wi-Fi-based video call. Qualcomm is also installing ‘Qualcomm Quick Charge 3.0’ that is a high-speed charging technology. Samsung Electronics is targeting rest of countries excluding America and China with its new Exynos and it seems that it will increase its shares by targeting rising nations including Europe. Samsung Electronics will decrease its unit cost by putting chip that has its own baseband chip combined to AP and increase its competitive edge in design. Industry is seeing that the fact that Samsung Electronics gave Qualcomm American and Chinese markets that are the countries where most Smartphones get sold will affect foundry contract. In other words, industry believes that while Qualcomm is mass-producing new Aps at Samsung foundry, Qualcomm is securing regions that have high influence. Unlike Qualcomm selling Snapdragons to variety of manufacturers, Samsung Electronics is supplying flagship spec Exynos to only Galaxy series excluding certain inexpensive models. 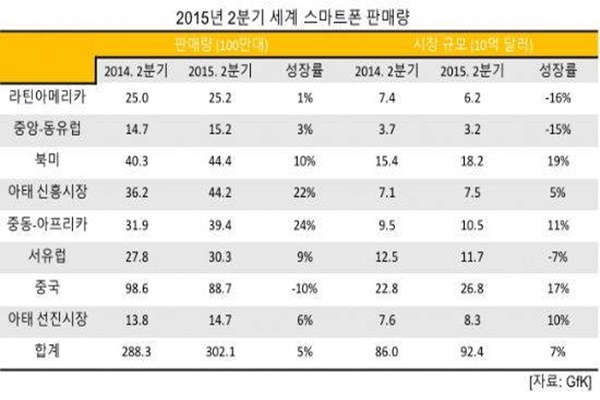 Due to this, industry thinks that there are possibilities that Samsung Electronics was burdened because supply price was relatively high. “Because Smartphone business and semiconductor business are totally separated, supply agreement of AP and foundry business do not affect each other.” said Samsung Electronics.